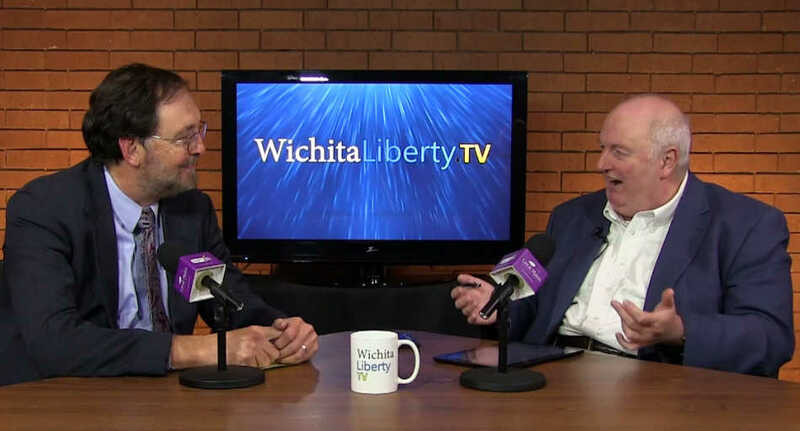 In this episode of WichitaLiberty.TV: Bob and Karl look at election results nationally, in Kansas, and in Sedgwick County. View below, or click here to view at YouTube. Episode 217, broadcast November 11, 2018. Election results at Politico. This is one of the best sites for analysis of election results. Election results for Sedgwick County. Election resuts from Kansas Secretary of State. News from alternative media around Kansas for June 25, 2010. Today the Kansas Governmental Ethics Commission is holding a hearing to consider changes to its rules regarding confidentiality. James Meier of Lawrence has experience with these rules, as he relates in Kansas Governmental Ethics Commission in need of reform. Following is the testimony that Meier will deliver at the hearing this afternoon. Madame Chairwoman and members of the Commission, I am here to testify against changes to K.A.R. 19-6-1 in their current form. Before considering changes to the confidentiality rules of the Commission, I believe it is vital that members publicly recognize why these changes are being sought. This is not a normal review; rather these changes are specifically being pursued to comply with a 2009 Attorney General’s opinion that Ethics confidentiality rules violate the free speech rights of Kansas citizens. I would also be remiss if I did not publicly recognize that this very Commission handed down an unconstitutional fine of $7,500 to a private citizen who did nothing more than exercise his right to free speech. Because of the actions of this Commission, the state of Kansas now may face a costly lawsuit in federal court. Current state statutes and regulations prohibit the public from knowing about complaints where no probable cause is found. While I’m sure that you are confident in your findings, the fact remains that the public can not independently verify the work of the Commission. In essence, the Commission that is charged with keeping Kansas’ public officials ethical cannot be checked itself by the public at large. With the public unable to verify that this Commission is uniformly applying the law, a huge credibility problem has arisen. However, if additional steps were taken to increase the transparency of the Commission, I believe that credibility could be restored. Therefore, it is my opinion that the Commission should reject the proposed changes and instead conduct a full review of all regulations concerning Commission procedures, and amend them to allow the public full review of all Commission documents after a finding of facts has been made. It is also my opinion that the Commission should pursue statutory changes with the Kansas Legislature to allow for the public review of any and all Ethics Commission documents after a finding of facts has been made. It is my firm belief that ultimately, it is not this nine member Commission that keeps public officials ethical; it is the people of Kansas. I ask that you make the necessary changes to allow the public to do its job. News from alternative media around Kansas for December 21, 2009. News from alternative media around Kansas for November 30, 2009. Also from Kansas Liberty see Agencies react to governor’s cuts. (Kansas Liberty) “The Republican Party demonstrated a renewed interest in the Third District congressional race today after Rep. Dennis Moore, a Democrat, announced he would not be seeking re-election. Within hours of Moore’s announcement, the list of possible and probable Republican candidates more than doubled in size.” Mentioned in this article: 2008 challenger Nick Jordan, House Appropriations Chair Kevin Yoder R-Overland Park, Kansas senators Karin Brownlee, R-Olathe and Jeff Colyer, R-Overland Park, and Charlotte O’Hara. Is Governor Parkinson Setting the Table for a Tax Increase? Below, James Meier of Lawrence tells of the trouble (that’s an understatement) he had trying to file an ethics complaint, and of a catch-22 that needs fixing. This story has been told on a Kansas conservative mailing list. Meier prepared this version as a special for Voice For Liberty in Wichita readers. The subject of the “ethics” of the Kansas Governmental Ethics Commission has surfaced recently. It’s a much more complicated story with many twists and turns that hasn’t been sufficiently explained by traditional media sources. Here is a quick synopsis to better understand my own story of interaction with the Ethics Commission. In July of 2008, Kris Van Meteren examined the campaign finance records of state Sen. Dwayne Umbarger (R-Thayer). Van Meteren’s mother was challenging Umbarger in the August 2008 primary. In short, Umbarger had been using his campaign account as a sort of slush fund for his own personal expenses. Van Meteren showed the reports to the Ethics Commission’s Executive Director, Carol Williams. He was looking for an investigation, but after months of inaction by the Commission, Van Meteren finally filed an official complaint. Then he had the audacity to exercise his first amendment rights and speak to the press about his Ethics Commission complaint. Eventually the Ethics Commission dismissed the complaint against Umbarger. Of course, no one should know this because according to the Commission’s own rules, once a complaint is dismissed neither the person the complaint was filed against nor the person who filed the complaint can even acknowledge it even existed. So it’s still a mystery how the dismissal was leaked to the press. In any case, it’s easy to see the black hole this rule creates. A politician breaks the law, so a complaint is filed. When this happens no one can even say a complaint exists. As far as the commission and anyone else are concerned, it doesn’t exist. If the commission decides to proceed with the case, at that time it becomes a public issue. But should the Ethics Commission dismiss the complaint outright, it ceases to exist. So should the Commission be so inclined to protect certain politicians, they can quite effectively use their rules to keep anyone filing a complaint quiet. It’s a dirty politicians dream. Thus seems to be the case with Van Meteren’s complaint against Umbarger. After dismissing the complaint against Umbarger, the Commission in turn investigated Van Meteren for speaking about his complaint. They eventually fined him $7,500. The fine was overturned a few weeks ago when the Commission was notified by their own attorneys — the Kansas Attorney General’s office — that the current law violated Van Meteren’s first amendment rights. Thus a light is beginning to shine on the past actions of the Ethics Commission. In the course of the Ethics Commission investigation of Van Meteren, Executive Director Carol Williams spoke with the Topeka Capital-Journal and wasn’t shy about telling the reporter that the law may have been broken. But she wasn’t referring to Sen. Umbarger. No, she was talking about Van Meteren speaking with the media. This is where I began to get very interested. According to Williams herself, once a complaint is filed, no one can even acknowledge that it exists. Even though Van Meteren had spoken with the press about his complaint, this didn’t justify Williams also independently verifying that the complaint existed. It was the second source the reporter needed to print that a complaint existed. In other words, Williams had violated the law according to her own interpretation. Of course, I hardly expected the commission to discipline their own director. So after the Attorney General’s ruling, I saw an opportunity to take matters into my own hands. So on Monday May 18, I drove to Topeka to file a complaint against Williams for disclosing an open investigation to the press. Even though any citizen can file a complaint with the Ethics Commission, the form is not available on their website and I was unsuccessful at getting a copy mailed to me. I arrived at exactly 4:30pm and found their office tucked away on the fifth floor of an office building a block east of the capital. The hours on their website stated they were open from 8am to 5pm. So I was a bit surprised when I went to open the door and found it locked. I knocked very loudly. Nothing. I pounded on the door and yelled for a good 10 minutes. Still nothing. I called their office and left a message that I had been there, that their website said the office hours were 8:00am to 5:00pm and that I wanted to file a complaint, then left for home. I later wondered if they thought I meant I wanted to file a complaint about them not being there, but after driving to Topeka for nothing I didn’t really care. So, Tuesday morning at 7:40am I get a phone call that I didn’t answer. It was from Donna at the Ethics Commission and their hours are 7:30am to 4:30pm. Turns out the hours on their website were wrong. But I could call back and they could help me with my complaint. So I called back at 9:00am and asked if they planned to be there the rest of the day because I wanted to file a complaint. Then I clarified that it wasn’t about their hours but an actual campaign finance complaint. Then Donna asks me when I wanted to come into the office. I said if I left right away I’d arrive sometime after 10:00am and asked what exactly their hours were. I wanted to know so I didn’t have to phone ahead should I decide I need something from their office. Then she said well, if you’re here this morning then you can meet with our investigator to which I replied, that would be fine but I didn’t need to speak to him to file a complaint, so if I missed him I’d just take the form and fill it out myself. She again said to come in and meet with an investigator and I figured there was little point in arguing about it over the phone. So I said okay and left town. When I got there, I said I was James Meier, I had called and I was there to get a complaint form. The same gal turned around and walked off without a word. I piped up and said, “That’s okay, I just need the form.” She never said a word, just held up her finger and walked off. I waited a few minutes and Bill Beightel, the ethics investigator, comes up and asks me if I have a few minutes. He has “no problem” giving me a complaint form (good for him since he doesn’t really have a choice anyway) but that he’d like to “explain” a few things to me. So by this time I’m getting quite curious so I sit down with him. First off I’m told that “normally” people bring a concern to them and then they do an “inquiry.” And then if they think there’s really something there that should be put before the Ethics Commission then they will fill out the complaint form. Then I’m cautioned that if I choose to fill out the complaint myself (which, I’m reminded, isn’t the “normal” process) then I should be aware that I need to fill it out sufficiently. The commission will only consider what I describe in the complaint and nothing else, so I really need to be sure I know what I’m talking about because, again, normally the “professional” staff takes care of that. That means that I have to be sure I know something about “their statutes.” I’m dead serious here, he referred to state law as “our statutes” at least twice and I think “our laws” once. In any case, he’s done and he just wanted to let me know about that before, you know, he gave me that golden, technically publicly accessible to anyone, complaint form. And, because he’s such a great guy, he once again offers to look into it “for me” and if he thinks there’s something there then he’ll file the complaint. It’s about this time that I consider telling him why I don’t want him to file the complaint. You see, I understand the black hole that the Ethics Commission has created by gagging anyone filing a complaint. If they happen to like the politician named the complaint, they dismiss it; notify the offending individual and the one filing the complaint, which as far as I know was always Commission staff until Van Meteren filed his complaint. So the staff is gagged. The Commission doesn’t talk, and the subject of the complaint certainly isn’t going to speak. The complaint has effectively been stuffed in a drawer forever, never again to be found. Even a state open records request would return nothing because any evidence found is considered confidential because the commission dismissed the case. But, now that the Attorney General’s office has lifted the gag order on citizen complaints, there’s a twist. According to state law, once a complaint is filed, it has to be considered by the Ethics Commission, whether they dismiss it or find sufficient evidence. If a citizen files the complaint, staff can’t ride shotgun for them and kill it before it gets to their desk, which was always possible before. Now, even though they have to look at it they can, of curse, decide there isn’t enough evidence to warrant a hearing. But, even if they don’t find probable cause, they have to notify the person who filed the complaint and the subject of the complaint that it’s been dismissed, thus circumventing the no man’s land where those complaints ended up before. That why I want to sign the form and not leave it to a state bureaucrat. This is precisely why I have to be talked out of signing my own complaint. If the commission dismisses it, I have to be notified and now that the confidentiality muzzle is off of the public at large. I can tell whoever I want about it. If staff signs the complaint, they’re notified it was dismissed and the public never knows. Anyway, I thanked him and told him I’ll just take it and fill it out and return it later. Then he asks me if I mind telling him what my complaint is about. I tell him, why yes, I do mind, and leave. When I get back, I give them the complaint and ask for a receipt, preferably a copy of the complaint with a received sticker on it. I ask them to note the time and the date. I’m told that the stamper doesn’t have the time on it (I must look like a complete idiot to them.) I ask if they would write the time on it. I’m ignored; they make a copy and hand it to me. I asked if I needed a received stamped copy for the attachments and they say no. I now realize that was a mistake to assume they’d give everything to the commission. I should have insisted, but they had seen who the subject of the complaint was by then and I was ready to leave. And that folks is how the state treats a member of the public exercising their constitutional right to petition their government and seek justice. I have a completely new found appreciation for what Kris Van Meteren has been through this past year. Additional supplemental information is available on KansasLiberty.com. In a victory for free political speech, Kristian Van Meteren has prevailed over the Kansas Governmental Ethics Commission. Reporting by Tim Carpenter of the Topeka Capital-Journal is State ethics fine reversed. The Kansas Meadowlark has reporting, including the Kansas Attorney General’s opinion, in Attorney General Says Kansas Ethics Confidentiality Rules are Unconstitutional. Kansas Liberty coverage is Ethics Commission caves on Van Meteren charge. I saw no coverage in the Wichita Eagle. This afternoon, under the pressure of litigation, the Kansas Governmental Ethics Commission has fully and completely recanted and rescinded its findings and the $7,500 fine it had previously imposed on my client, Kristian Van Meteren, for exercising his constitutionally protected rights to free speech. By vacating its prior order after challenge in court, the Commission has both tacitly and, through its counsel at the Kansas Attorney General’s Office, expressly conceded that its actions violated Mr. Van Meteren’s constitutionally guaranteed rights to free speech. As such, today’s action is a victory for the liberties of all Kansans. Unfortunately, though Mr. Van Meteren’s legal rights have been clearly vindicated and he has emerged from this litigation victorious, it has not been without cost. This episode illustrates clearly the abuses that can occur when agents of the State choose to use their power to advance a political agenda, to reward friends, and to discourage political opponents. In fact, were it not for my client’s commitment to liberty, his willingness to expend his own resources to fight this injustice, and his dogged adherence to his clearly protected rights, the Commission would not have been forced to this decision and the speech of all Kansans would remain constrained. While today’s victory is clear, only continued vigilance on the part of citizens can protect against these kinds of abuses in the future. As such, today’s decision does not end this matter. Mr. Van Meteren has been damaged by the Commission’s actions in having to expend time, energy, and financial resources to clear his good name. In addition, he has suffered the indignities of the Commission’s actions and prior public statements. We fully intend to evaluate Mr. Van Meteren’s options to pursue further recourse in federal courts for this clear and admitted violation. Finally, we call on the Kansas Legislature to immediately address the unconstitutional statutes and regulations of the Commission at the convening of the 2010 session. Nothing short of a full review and rewrite of those laws will prevent such abuses from occurring in the future. Obama Echoes Bush on Education Ideas (Education Week) “President Barack Obama campaigned on a message of change, but when it comes to K-12 education, he appears to be walking in the policy footsteps of his recent predecessors, including George W. Bush…. happy at the similarities. .. ‘He is operating almost in a straight line from President Bush,’ said Diane Ravitch, an education historian at New York University … Alfie Kohn… echoes that assessment. ‘This is what passes for quote-unquote reform: an intensification of the status quo that reflects the sensibility of politicians and corporate executives rather than educators.’ The article has excerpts from the last four presidents, showing that little has changed. Modern-Day Tea Parties Give Taxpayers Chance to Scream for Better Representation (Fox News) Nancy Armstrong, one of the organizers of the Wichita tea party on tax day, was quoted in a story on the Fox News website. “‘This is about the people. This is about what we have to say,’ said Nancy Armstrong, who’s organizing the tea party in Wichita, Kan. Armstrong, who attended one of the parties in northern Kansas in late February, said she’s expecting at least 1,000 people at the local post office in Wichita on April 15.” More coverage of the Wichita tea party is at Wichita tea party. 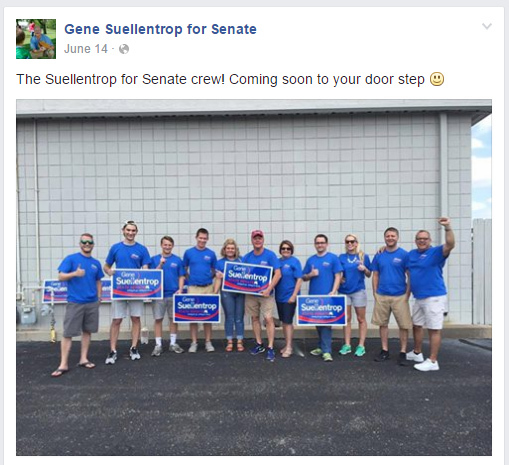 A recent Wichita Eagle news story jogged readers’ memories about the company that’s the target of the story, Cornejo & Sons, Inc., and their campaign contributions a few years back. The company asked some of its employees to make campaign contributions, and then the employees were reimbursed. That’s illegal. In this story, Ron Cornejo, the company president, denied the making the reimbursements. The next day Sedgwick County District Attorney Nola Foulston announced the launching of a criminal investigation. All candidates who received the money — a mix of Wichita mayoral, city council, and Sedgwick county commission candidates, one still in office — were cleared of any wrongdoing by the ethics commission. I couldn’t find any news stories about the result of the DA’s investigation, so I inquired at the office. But it appears that no charges were ever filed. It’s thought that the contributions were supporting Cornejo’s substantial contracts with the City of Wichita, and also the company’s effort to gain approval to build a landfill near Furley. The construction landfill that’s the subject of the recent Eagle article wasn’t mentioned as the motivating factor for these contributions. See the post More Info on Van Meteren “Free Speech” Ethics Case. The Kansas Meadowlark reports on a troubling situation at the Kansas Governmental Ethics Commission. If you uncover corruption of violations of campaign finance statutes, you will be forced to choose between two difficult options. 2. Preserve your right to discuss the matter freely but forego seeing the matter investigated and justice served. The entire story is on the Meadowlark’s site at “Free Speech” May Cost Kansas Citizen $7500. The Kansas Meadowlark is covering a case before the Kansas Governmental Ethics Commission that has free speech implications. The Meadowlark’s report is First Amendment Defense Thorny Issue for Ethics Commission. Read the Meadowlarks’s full report at Gov. Sebelius’ Bluestem Fund “Leadership” PAC attacks conservatives.